Hey ladies! As a mammographer, I feel it’s my duty (especially in October as it's Breast Cancer Awareness Month) to remind you ladies about understanding your risk for breast cancer. This year I am talking about early onset breast cancer; specifically, breast cancer that is diagnosed before the age of 45. As a mammographer I have the beautiful calling of lending support, compassion, and care for those who play an active role in their breast health. Sometimes this involves a screening mammogram and other times it's a diagnostic mammogram, where we are looking at or for a suspicious area within the breast. I’ve stood by the side of both women who have trembled with the surprising news of a possible abnormality in their breast and women who are veterans of such a devastating disease. For this post, I challenge you to #BringYourBrave and find out your risks for developing breast cancer. 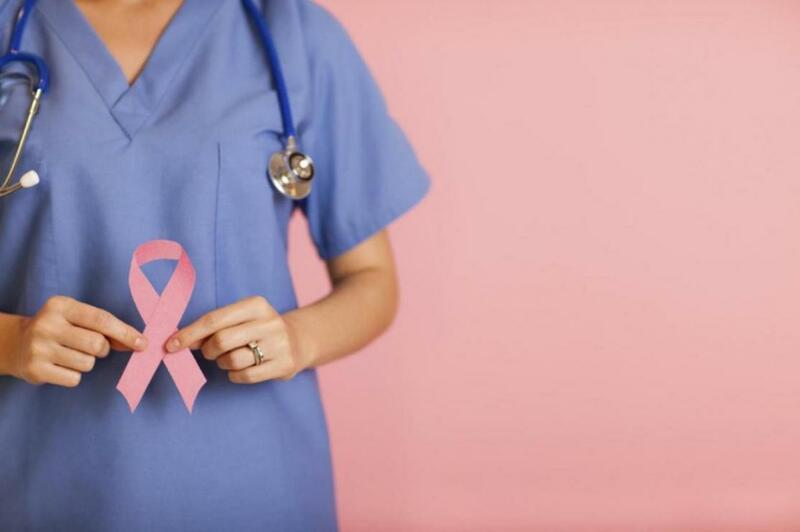 Did you know that breast cancer is the most common cancer in women in the United States? Not all of the women who are diagnosed are post-menopausal though. It’s estimated that 11% of all cases of breast cancer in the United States occur in women under the age of 45. Unfortunately, many young ladies do not know they're at risk or think they don’t need to yet be concerned about their breast health. More likely to be hereditary. More often diagnosed at a later stage. More aggressive and difficult to treat. She has close relatives who were diagnosed with breast cancer before the age of 45 or ovarian cancer at any age; especially if more than one relative was diagnosed or if a male relative had breast cancer. She has changes in the breast cancer genes BRCA1 and BRCA2 or has close relatives with these changes, but has not been tested. She is of Ashkenazi Jewish heritage. She received radiation therapy to the breast or chest during childhood or early adulthood. She has had breast cancer or other breast health problems, such as lobular carcinoma in situ (LCIS), ductal carcinoma in situ (DCIS), atypical ductal hyperplasia, or atypical lobular hyperplasia. She has been told that she has dense breasts on a mammogram. Know how your breasts normally look and feel; talk to your doctor if you notice anything unusual. There's nothing too petty to bring up! Talk to your relatives about your family history of breast and/or ovarian cancer. The CDC offers a terrific worksheet as a guide for such a conversation.You can find it here. Talk to your doctor about your risks for breast cancer. Please read these amazing women’s stories here and share your own story on social media using the hashtag #BraveBecause. Wishing you health and happiness.